Nestled into the riverbank at 610 Radcliffe is Bristol’s most visited historical attraction–The Margaret R. Grundy Memorial Museum. 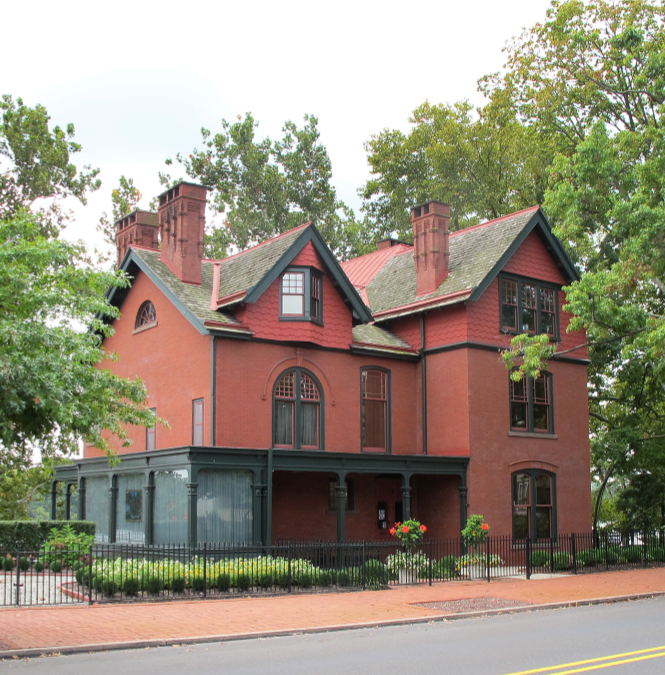 This house was purchased and renovated in the Queen Anne style by William H. Grundy in the 1880s. Shortly afterward, William Grundy moved in with his wife Mary and their two children, Joseph and Margaret. 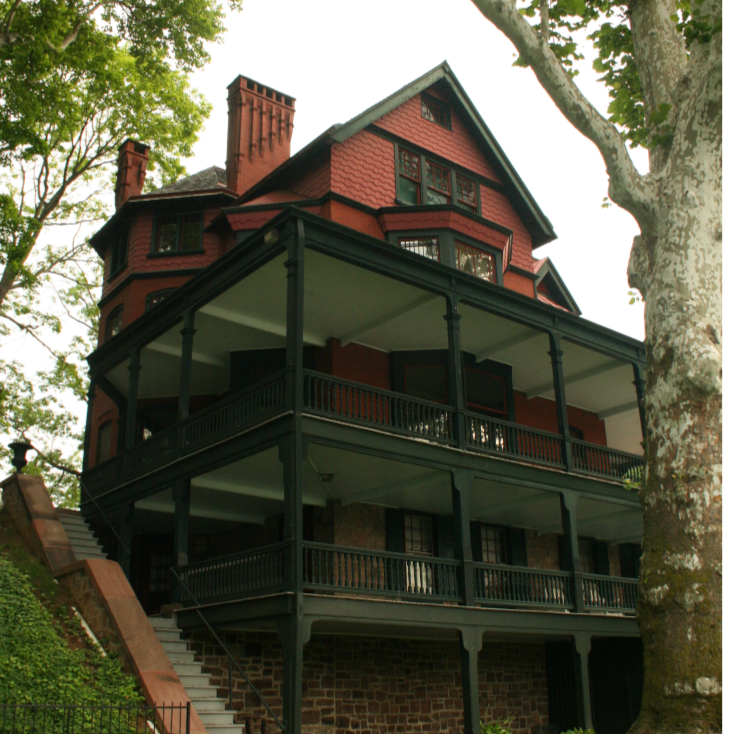 The home is now used to interpret life during the Victorian era, with specific regard to this prominent industrialist family. Interior rooms feature finely carved woodwork of oak, cherry, and maple, and many of the rooms have spectacular river views. The house also still contains the original 1880s bathroom as well as a gorgeous jeweled glass window in the drawing room. 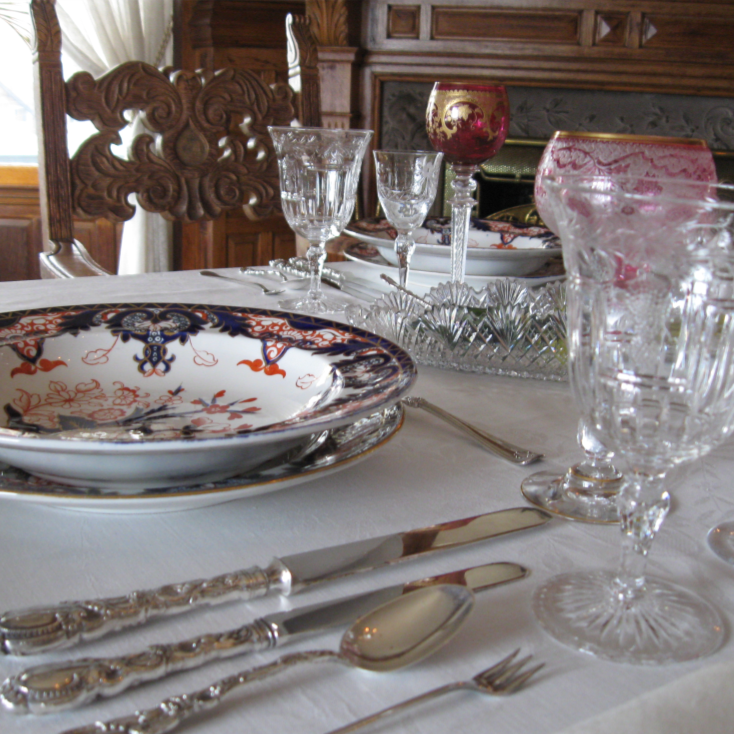 Almost all of the objects and furnishings on display were owned and used by the family. Viewing the riverside façade from the park behind the house will reveal all five levels of the house, two wrap-around porches, and stone walls on the lower two levels. To enter the park, take the brick ramp at the foot of Penn Street or go through the adjacent Grundy Library. Admission to the Grundy Museum is free.